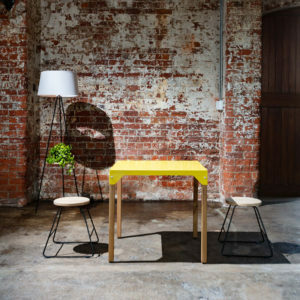 The Svenska Square Desk is part of our Scandinavian-industrial style of furniture. The desk is perfect for a non-cluttered, clean and simple office environment and can also be used as a homework desk, in your child’s bedroom. The frame comes in all of our fun powder coated colours, and drawer fronts can be customised with your choice of timber. Drawers can be left or right-handed.